22 men with everything you might ever desire. 22 all-new ways to fall in love. 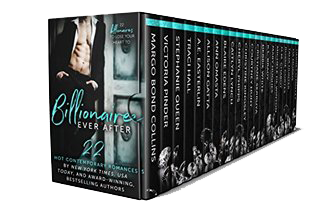 22 Billionaires to fall in love with.Feel the sparks fly off the hot romance and action-driven pages of these EXCLUSIVE TITLES—unavailable separately in ebook format anywhere else!From sweet to sensual, they’ll satisfy your most indulgent fantasies as you fall in love with an array of billionaire beaus in this contemporary romance collection by some of today’s hottest New York Times, USA Today, and International bestselling authors.